With more than 40 years of experience in career and technology education. Robert P. Leiby teaches construction management at the Applications and Research Laboratory, a Howard County Public Schools career and technical high school, in Ellicott City, Maryland. 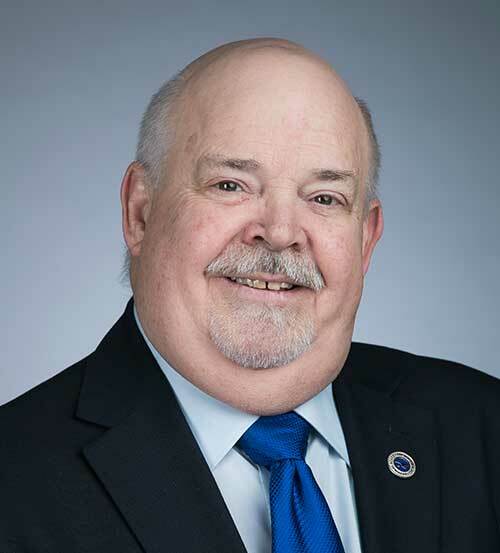 Leiby earned a BS degree from Penn State University with a certification in Industrial Technical Education and Cooperative Education, as well as a Advanced Professional Certification at the University of Maryland. Leiby is a National Board Certified teacher and is a trade certified instructor through the National Occupational Competency Testing Institute (NOCTI) and National Center for Construction Education & Research (NCCER). Leiby’s construction management program helps produce positive results for his students. When students enter his program, they are often performing below average in math and English and cannot read a rule, understand fractions or identify tools. Leiby makes a match between academic concepts and real-world challenges– such as having his students utilize the Pythagorean Theorem to build rooftops on houses. Students keep daily journals of their activities and present orally on seminar days. They complete a seven-part finished octagon deck project and participate in internship experiences working with local employers, and they participate in interactive field trips sponsored by the National Trade Council at the National Building Museum in Washington, D.C.
An annual capstone celebration event brings together employers, administrators, an active advisor board and families, as they together observe students frame a building. Over the years, many students, alumni and parents have told Leiby that his class changed their outlook on future education and career opportunities. The NCCER Core certification rate for his students is over 90%. During his tenure as instructor, department head, and project manager, Leiby planned and constructed ten student-built homes in the community, including the galvanizing experience of building two houses simultaneously. His work also includes the development and administration of an adult craft training program for Howard County Community College, and classroom management seminars for CTE instructors at all levels. He also partnered with a local organization to provide service opportunities for his students while helping low-income Howard County homeowners with free home repairs. Join our growing network and get the latest news and updates.